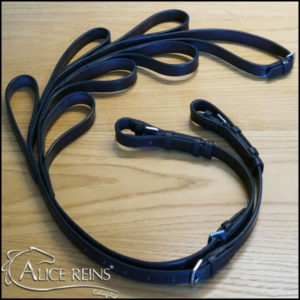 These are the Original Alice Reins which were designed by myself and made specifically for my daughter Alice who was born with one functional hand on her right, Alice’s left arm is shorter than her right and she has a small wrist and palm with just 3 rigid fingers. 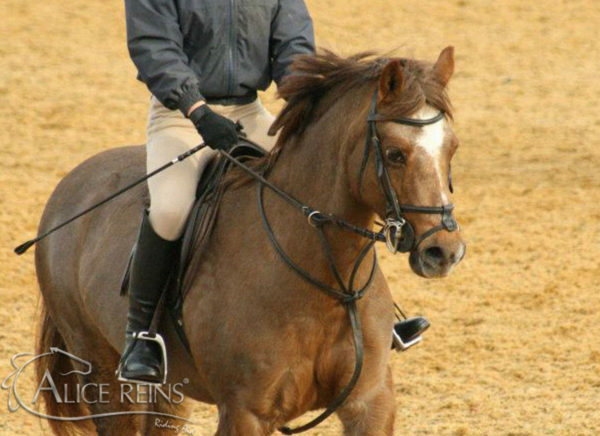 These reins have 3 loops set at walk, trot and canter permanently stitched to her left rein only. We had a strip of rubber stitched on the inside of her right rein for grip. 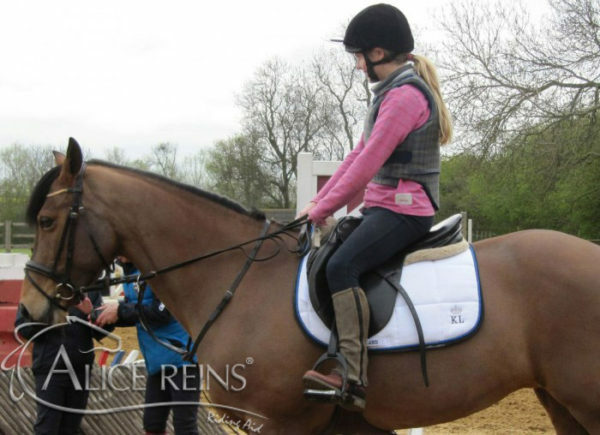 Fully adjustable on both the right and left reins themselves to fit all ponies/horses. Attach to the bit with stainless steel buckle billets. 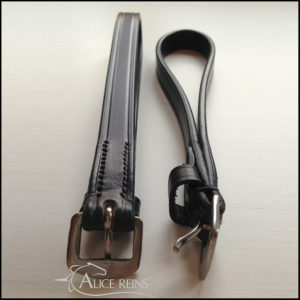 They are 5/8″ in width and are Pony length short. Brown in colour to match bridle and saddle. They were made from Quality English Leather and hand stitched to the highest standard in the UK. 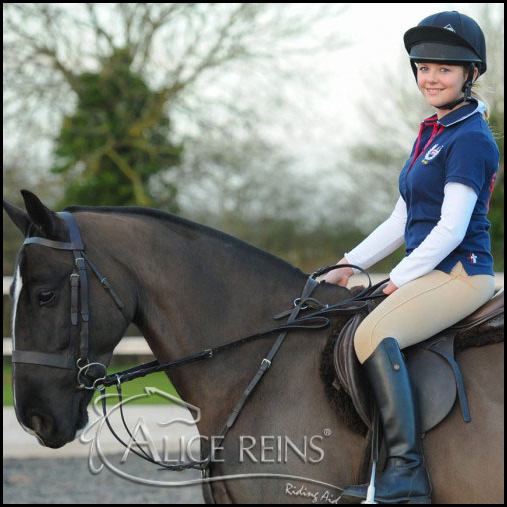 Alice has used her reins for years riding ponies from 11.2hh (Toffee), 12.2hh (Kit), 13hh (Perrie) and currently her 14.2hh pony Poppy!! 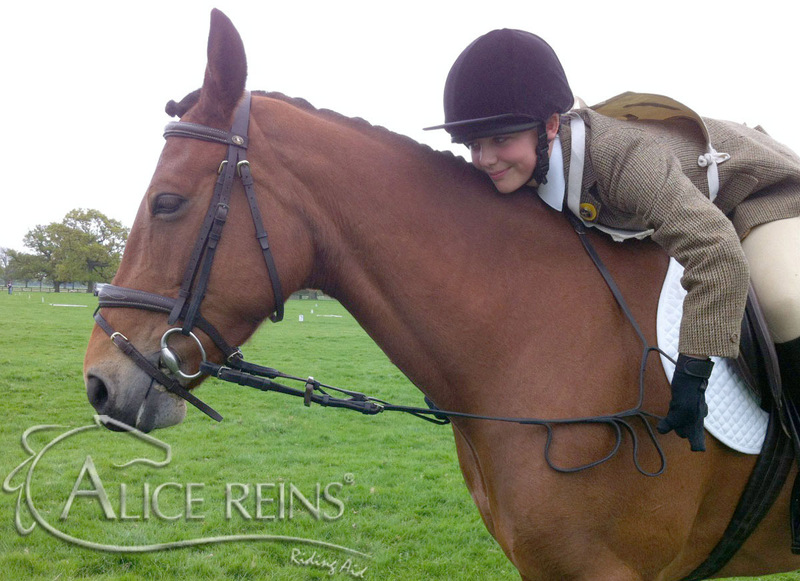 Alice has experienced every discipline with her reins including hunting and a BE80 unaffiliated one day event on Poppy and it is only now at 14 years of age that Alice is finding she needs a longer length to cope with the larger fences and drops! 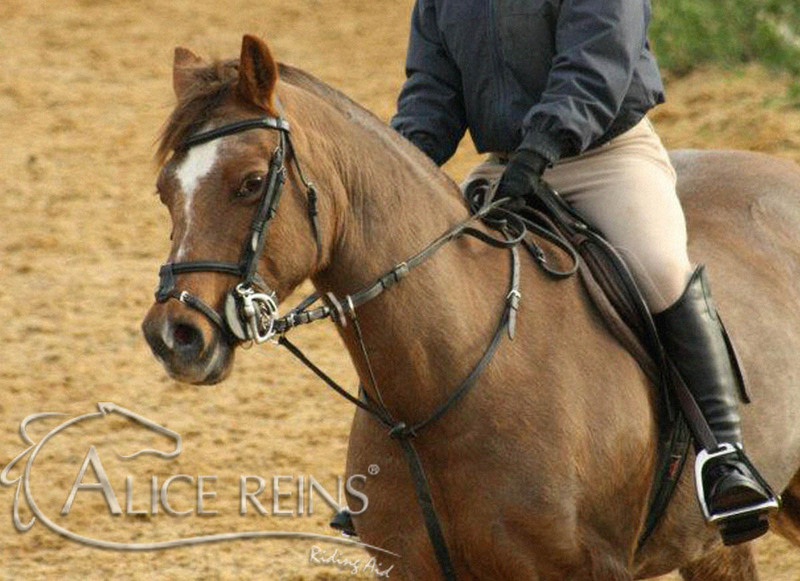 Alice adores her reins as without them she could not ride independently with such confidence. Alice also belongs to Burghley Pony Club.This service would be ideal for: Riders with a disability. Riders with lesser grip. Hunting. 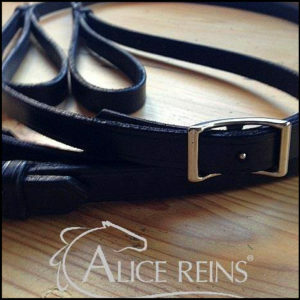 To enquire about our Custom Made Service for made to measure Alice Reins specifically tailored for the individual, please call on 01780 751976 or 07734 566861 or email your requirements.